I've never heard of oil pulling until I came across an article on Lauren Conrad's website, the girls over at LC have been swishing oil in their mouths to aid detoxing the body and boosting oral hygiene. Strange as it sounded I was intrigued as it seemed pretty straight forward and the health benefits seemed to good to pass up! Oil pulling helps detoxify your body of harmful toxins, think of it more more of a cleanse than killing germs. It helps boost oral hygiene, whitens teeth and keeps breath fresh, the combination of the oil working it's way around in your mouth 'pulls' toxins from all the crevices between your teeth and gums. Other benefits that have been recorded include migraine relief, clearing up sinuses and even improved vision?! All you need is some unrefined, preferable organic oil such as sesame or coconut oil. 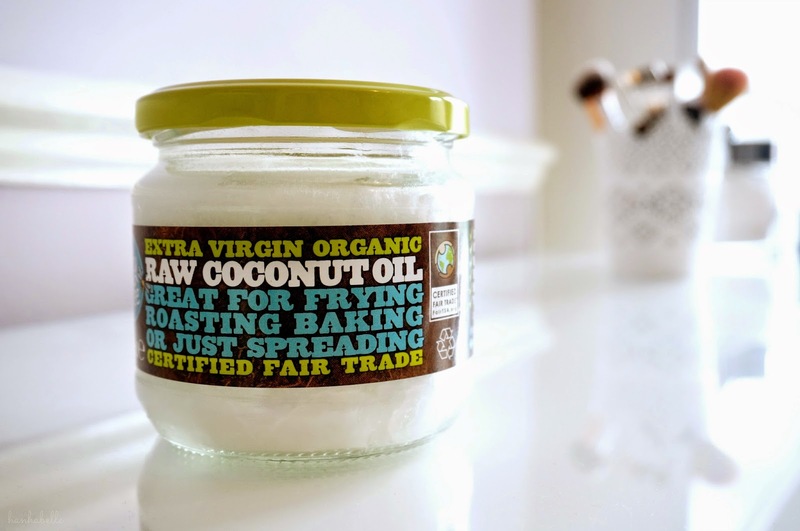 I decided that coconut oil seemed the most appealing and picked up a jar for £6. 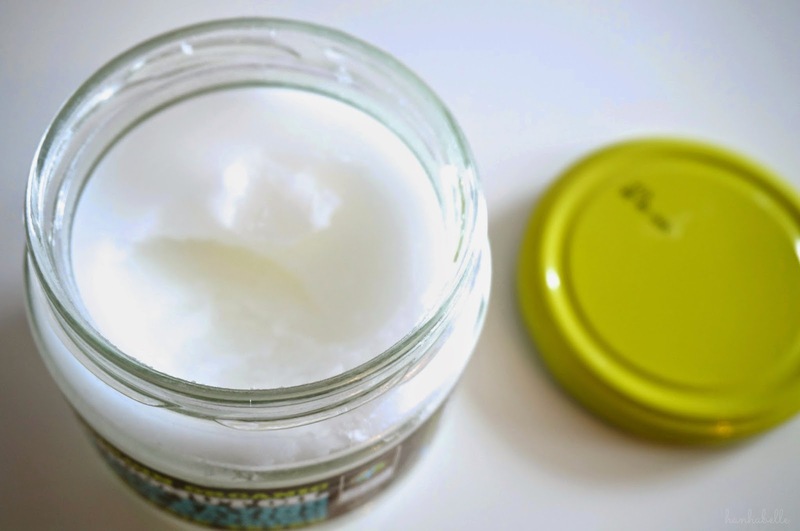 Coconut oil is thick in texture, not runny and oily at all. I read you're meant to oil pull on an empty stomach, so first thing in the morning is best before you eat or brush your teeth. You take a table spoon of the oil, wait for it to soften and swish in your mouth for up to 20 minutes, luckily it's not as gross or greasy as it sounds. Time goes by fairly quickly if you're busy doing something else, I tend to watch some YouTube videos! Don't swish too hard or your jaw will ache and your mouth will get tired! Once the time is up the oil should turn a milky white colour, spit it out in the bin not sink otherwise it'll clog the pipes. Afterwards rinse your mouth with warm salty water, which will help clean any oily residue from your mouth and then brush your teeth as normal. So after doing this for around 2 weeks now (I missed a few days), I didn't expect such quick results. My mouth felt fresher and cleaner straight away, after day 2 my teeth felt like I had a proper clean at the dentist, I kept running my tongue against my teeth as it felt so clean. I could physically see and feel the plaque had been removed, I have never seen results like this with my regular mouthwash - impressive stuff. 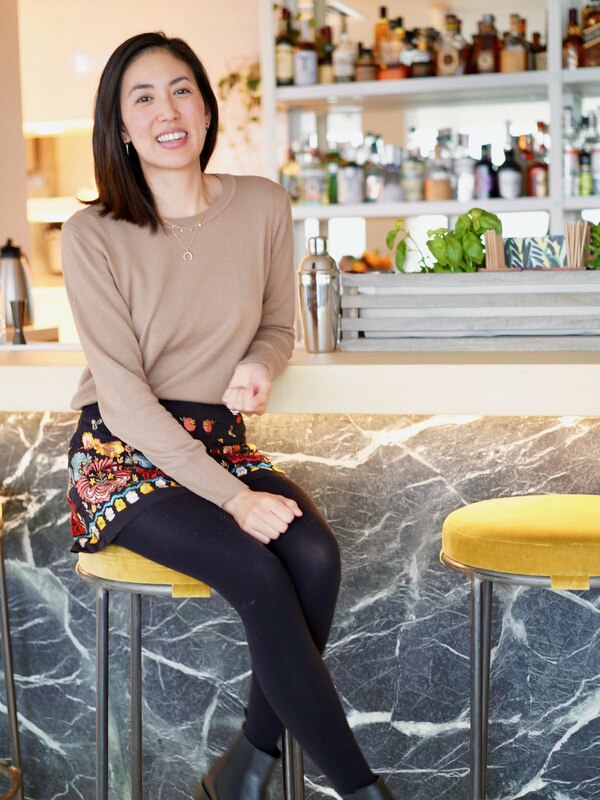 As a tea drinker my teeth are not exactly pearly whites, I usually get them polished at the dentist to remove stubborn stains but since oil pulling, my teeth are seriously brighter and considerably less stained. They are not super white by any means yet but I'm shocked by the results after such a short amount of time. No whitening toothpaste works as well as this technique, so in this case the jury is in. Last weekend I drank far too much alcohol and even though I felt deadly, it actually felt good doing the oil pull first thing when I woke up, ridding my body of deadly toxins. A cure for my hangovers? Possibly. I didn't feel as nauseous, no headache and even went out again that night, ha! Aside from my oral hygiene improving and my breath feeling fresher, my skin is clearer than it has been in a long time. I can't pin point if it's down to but usually I never have clear skin, there's always blemishes to contend with but lately it's been much more well behaved. My skin care routine is good at clearing up existing blemishes, so combined with oil pulling I'm hoping my good skin days are here to stay a bit longer! Would you consider trying it? I would love to know your experiences! :o it sounds very convincing from your results! Actually the only part that sounds not very nice to me is having to rinse with salty water haha. I've still not even tried coconut oil as a general all purpose product anyway so I think this is the week I give it a go! The results sound absolutely amazing, though I don't know if I could do it! I really don't like the smell of Coconut oil so I can't imagine how I'd feel with it in my mouth! I may have to though because your results seem too good to be true! My friends have been talking about oil pulling and I get a little queasy thinking about it, but this post has definitely made it seem much more doable haha. I think the fact that you have to swish for 20 minutes is what gets to me... I keep thinking I'll gag, but I think it's worth a try - thanks for such an informative post! haha i know that bit does feels a bit gross. If all else fails, we can use the oil for cooking and keeping the ends of ou hair soft! Definitely never heard about this until right now! Interesting, not sure I can last the whole 20 but I'll give it a shot! I know it sounds crazy right but the results have been pretty good for me! Just keep yourself busy during that time! I've been hearing so much about this! I kind of want to try it, but the 20 minute timer scares me :) Can't believe you got such quick results! That's awesome! I didn't have any high hopes at all but couldn't believe the results! I know 20 mins seems ages but I tend to keep my self busy, and it doesn't feel that bad! Haha i felt the same on Sunday! I woke up ravenous but quickly distracted myself for 20 minutes on my computer! That is surprisingly cute packaging for coconut oil. Haha. Thanks for all your comments Franchesca :) I know I was so shocked to see how bright my teeth were!